Sometimes it feels like a song has been written with a piece of you. Like someone invaded your house when you weren’t there, sat on your bed with a cup of tea, and looked at your old photos, read all your e-mails, and all of your notebooks. 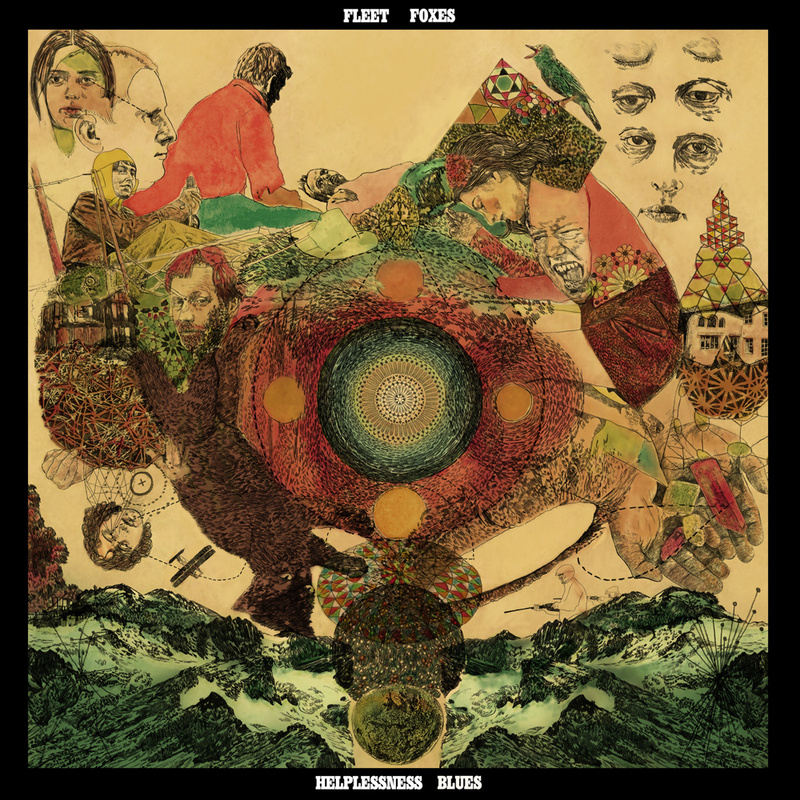 This is what it feels like every time I hear “Helplessness Blues,” the first single and title track from the Fleet Foxes’ second album. It feels like Robin Pecknold found a portal into my head, Being John Malkovich style. Most of us have aspirations of doing wonderful, special things. We want to live our own individual stories, in which we create or do something never done before. In the spinning of our tales, we do and have it all, and we get it in the most magnificent fashion. We have a legacy. But eventually you see every great tale eclipsed by a greater one, or sadly, a worse one. You learn that stories of people who have made something out of nothing are everywhere, and so are the stories of people who squashed something into nothing. You watch ambition segue into greed, as people turn works of art into brand names, and vice versa. For every world record made, another is broken. For every deserving award-winning movie, there’s another one that can’t find funding, and a terrible one that eclipses it because it could. The spotlight is short and small, and just as sad as the times it skips over someone are the times that someone can’t let it go. Lofty ambitions are beautiful, but even the simplest things hold a certain amount of awe. Many of us question most if not all of the four pillars of marriage, kids, house, career at some point. But when I watch my closest friends and family get married, have kids, buy houses, it’s hard to deny the appeal. You start to wonder if there’s a reason why the road is so well worn. It’s easier to think of taking the road more travelled by because you get glimpses of what it holds. It’s easier to be told what to do because you don’t spend as much time figuring it out, you can just get started. You can get so tired of worrying about your own little life that you wonder if there’s a way you can be doing something greater. You wonder if your reach isn’t better suited to a broader spectrum of people than just yourself. But that has its drawbacks, too. Ask anyone who’s worked in politics or worked for a cause. It’s like that old Bob Dylan quote, “To say ’cause of peace’ is just like saying ‘hunk of butter.’ I mean, how can you listen to anybody who wants you to believe he’s dedicated to the hunk and not to the butter.” Dreams that benefit “the people” run into as many roadblocks as dreams that benefit one. In times of growing information and diminishing fact-checking, it’s hard to know who to trust. Where’s the proof that doing “the right thing” is actually the right thing to do? It’s hard to reconcile greatness and big scale change with immediacy and direct causation. The things that are big take time and force to change, and the things that can change quickly and easily are the things in one’s own atmosphere. But the feeling of helplessness can cover the highest levels to the lowest. Romance frustrates as easily as government. If someone puts you on a shelf, places you on the sidelines, it’s your responsibility to get yourself down, to put yourself in the game. What are you doing letting someone else decide where you go, anyway? ­I hear the cacophony at the 2:48 mark, and wonder if this moment is those frustrations irking themselves out, shifting from brutish strumming, slowing down into a chirping dance that is the new direction. 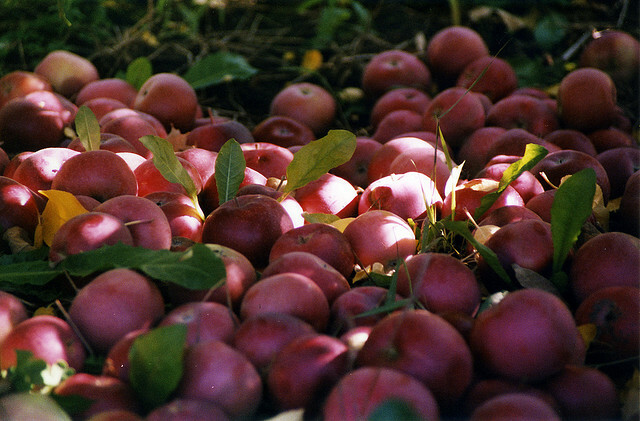 I’ve talked so much of Vermont that the thought of owning an orchard has become the not-so-much-of-a-joke-anymore about my future. And next thing I know, Pecknold is putting his heavenly voice to it. After spending the song not knowing what he wants, not knowing who to believe, not knowing who he is, Pecknold finds his resolution, in a time when the work was physical, and you chose someone to rely on for life. With the increasing rarity of this kind of life, it carries a certain romance. It can be the literal romance of appreciating simpler things with someone you love, or a more nostalgic romance, the thought of narrowing your life down to a more manageable size. It’s easier to feel more effective when your life has a tangible boundary. It’s easier to measure progress in apples.